Rocking Horse Records, that stalwart of the Brisbane music scene, has a huge line up of prizes for a massive draw. 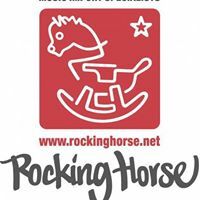 Spend more than $30 on Record Store Day stuff and go into the draw for a turntable, with runners prizes of $50 Rocking Horse gift vouchers, branded tote bags stuffed with a beanie, slipmat and t shirt, plus a Rocking Horse slipmat. And of course piles of Record Store Day limited editions and lots and lots of lovely records.